I just saw this fantastic video for making personal bean dip cups. It’s a terrific way to enforce portion control if you are left after a party wondering just how many tablespoons of salsa you really ate. You could add in ground beef if you wanted more protein. And you can dip vegetables instead of chips. Imagine never having to worry about someone else double dipping again. These could be great with other flavors as well. 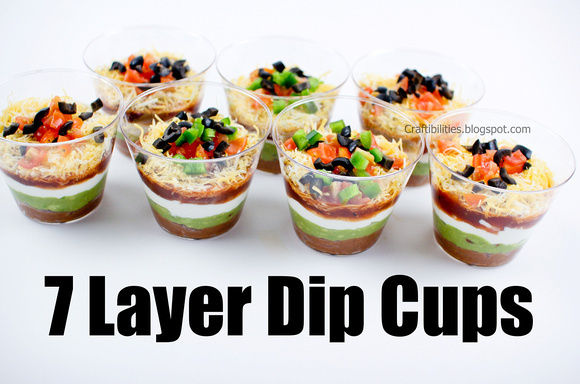 You could make a hummus cup with tzatziki, feta, cucumber, and tomato. You could also substitute in lamb crumbles. And if you wanted to be crazy, you could use a zip top bag as a piping bag and put in onion dip, guac and hummus so you could get a small taste of your favorite dips.